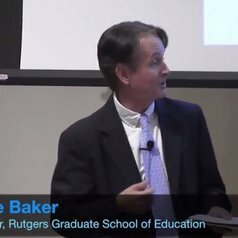 Bruce Baker is Professor in the Graduate School of Education at Rutgers University in New Brunswick, NJ. His research focuses on state school finance policies, economics of education and teacher and administrator labor markets. Teachers College, Columbia University, Ed.D.